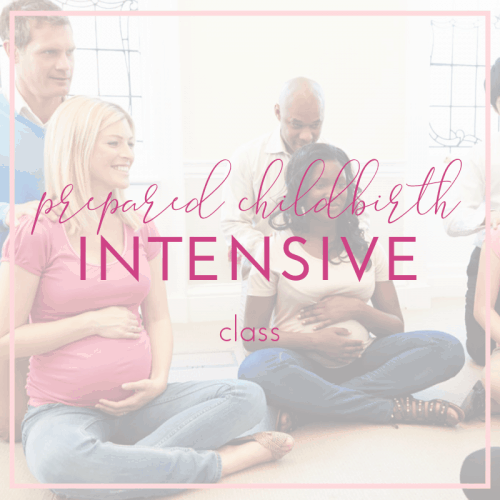 This prenatal Prepared Childbirth Intensive class is $250 per couple. Plus a $25 material fee due to the instructor on the day of class. To see the full description of the Prepared Childbirth Intensive Class go to the class page.